Curling fans around the world can follow live coverage of the event via the World Curling Federation’s YouTube Channel www.youtube.com/WorldCurlingTV which is embedded here on the homepage of the event website. 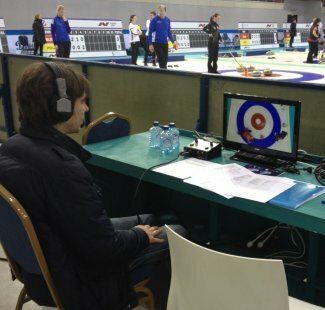 Sander Rølvåg, from Norway, has been curling since 2006. 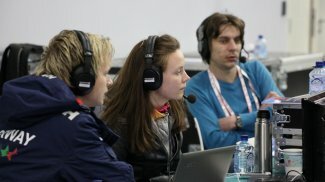 Studying TV production when he is not on the ice, Sander has been a commentator for the World Curling TV productions since 2010. He also co-commentated the TV2 Norway live coverage from the Sochi 2014 Olympic Winter Games curling competition. Sander won gold for Norway at the Winter Universiade 2015 in Granada, Spain. Sara Carlsson, from Sweden, is a World Women’s Curling Champion (playing second on Anette Norberg’s team at the World Championship in Esbjerg, Denmark in 2011). She remains a competitive curler today, curling with Cissi Östlund’s team - Team Alhmarks. 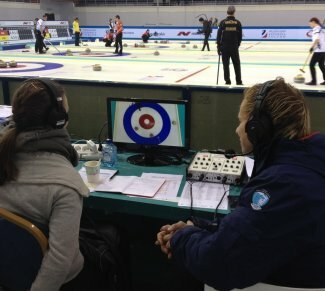 When not competing or commentating for Sweden’s TV4 or World Curling TV, Sara works as a development consultant for the Swedish Curling Association.